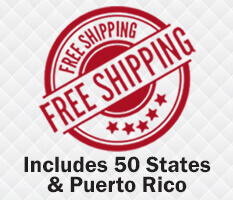 University Frames represents the finest frames in America to college and university bookstores throughout the USA. We are proud to be partners with hundreds of colleges and bookstores across North America. 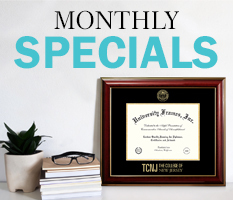 With more than 25 years in the business, University Frames is the leader when it comes to delivering the finest diploma frames to college graduates, as well as anyone who is looking forward to showcasing their loved ones’ achievements. We believe that earning a degree is a huge accomplishment; therefore, we use the finest hardwood for all of our licensed diploma frames. What's more, when getting your custom diploma frames designed at University Frames, you get the exact frames that are sold on campuses across the country with utmost attention to detail. Don't be fooled by look-alikes, we are the real thing. We are officially licensed with over 1000 schools and our frames come decorated with the original seal from those colleges and universities. You can also get non-imprinted frames on discount. 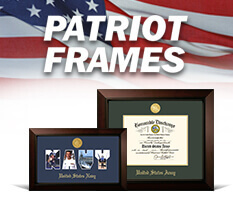 We have a wide range of gift certificates and Patriot Frames as well. We believe showcasing your hard earned achievement is important! We've delivered superior quality products to customers since 1990. 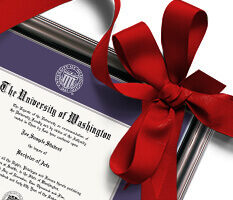 We represent the finest quality college diploma frames in America. Our innovative products and customer service are unmatched. Custom Diploma Frames Made Just for You! Our diploma frames are handcrafted and customized to match your personal style and preference. Each and every diploma frame is beautifully crafted and carefully inspected to meet high-quality standards. You can easily design, customize, and preview your diploma frame on our website before ordering it. Start designing your frame today! A Word From Our Staff! University Frames is a big family. We care about providing the best experience for our customers. Earning a degree is a huge accomplishment and we want our clients to feel how proud we are of them through our craftsmanship and attention to detail. "Your website and order process is excellent and I was able to get exactly what I wanted at a very fair price point. 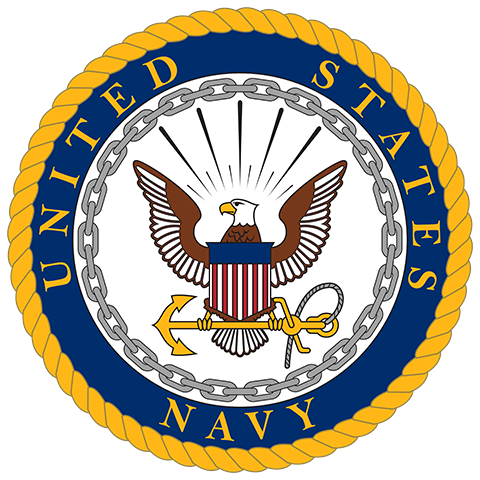 I am glad I found you, it has only taken me 45 YEARS to get my university diploma out of the shipping folder and ready to HANG!" " I just wanted to let you know that I received the frames today, and I must say, they are truly gorgeous! Kudos to your craftsman! Very fine workmanship. University Frames should be so proud! " " Thank you Universityframes.com! My expectations were exceeded. I was nervous about the odd size, but after an “online chat” with one of your representatives, I followed her directions and the frame is perfect. I was also nervous about the LSE color (purple) – I thought it might be a bit much, but the secondary mat was an appropriate size and it looks fantastic!!!! I would definitely recommend your website and product. I am trying to talk my husband into re-framing his degrees! " " Most magnificent thing I have ever laid eyes on "
" Oh my gosh. I just received my frame in the mail and it is absolutely GORGEOUS. I am so impressed and pleased with the quality of the work you all did. I wish this text box would let me use an exclamation point because that is how happy I am. Thank you so very very VERY much for helping me to frame my very first Associates Degree. I will absolutely be ordering again from you all. " 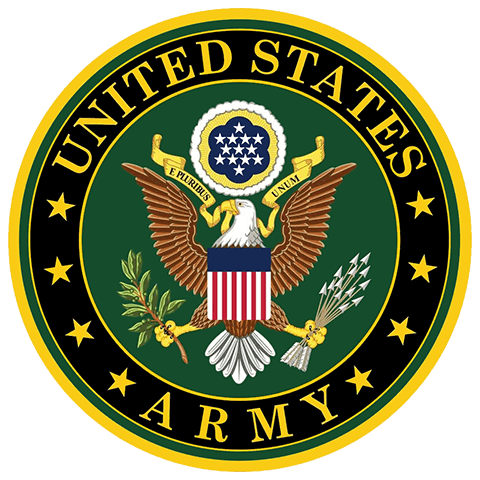 " I am impressed with the customer service, design capability, ease of ordering, and quick responsiveness. I will recommend your site and company to others. Thank you! " " I received my order today and I am completely blown away! This is my first experience ordering a diploma frame online instead of having one made at a hobby store and it certainly was a wonderful first impression. Yours was one of the few companies that offered a personalized engraving on the mat board of the college my daughter attended. The quality of the diploma tassel frame that I received was extraordinary. Not only was it elegant and exactly what I ordered, but it arrived on time, as promised and in pristine condition. I was a bit nervous about framing the diploma myself, so I appreciated the detailed instructions in the box as well as the helpful video that I found on your website. The fact that you even included the archival tape and a wall mount kit shows an exemplary level of attention to detail that I truly value. Thanks for the 20% off discount coupon for my next order that I found in the box; I hope it will still be valid next year when my son graduates from college. Heck, I may even order one for MY college diploma that has been sitting in a file cabinet for almost 30 years!! " " I just wanted to let you know how very TOUCHED I was with the BEAUTIFUL frame for my daughters diploma. It's scary ordering online and designing it yourself. Your prices were by far the cheapest....When I opened the box and seen it, I cried. It is her main Christmas gift, Im sure I will get the same reaction from her when she opens her present. Thank you ALL for creating/polishing/packaging this gift so well. Have a Very, Merry Christmas and wonderful New Year!	" " Promptness of response, courtesy, knowledge. I was very pleased with your product last time and know I will not be disappointed. I must say that this is my second time ordering from you and have been very pleasantly surprised with your customer service. Customer service and satisfaction is very often overlooked, but not by your folks. Kudos! " " I just recently graduated from CSUF and my parents gave me a diploma frame from your company. I am truly impressed with the quality of wood and the way your product was made. I will be recommending your company to all my friends and family. " " Thank you University Frames for my beautiful frame! Not only is your product top quality, your customer service is great! 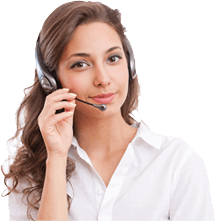 Your staff is friendly and answered all my questions when I called. I was happy to know that my frame was made in the USA. " " I cannot begin to tell you how excited I am and how beautiful these frames are. I know you had to pull out a miracle to get them completed and to me in a very short time span. I cannot begin to thank you enough. If you had seen me doing the happy dance in the clinic waiting room you would have cracked up laughing. I could not have done it without you. " " I am truly amazed by your company. I had an issue and my complaint was addressed and resolved! The manner in which it was handled was a good example of outstanding customer service. Thanks for going above & beyond to help. I see now that your exceptional customer service continues after the sale as well. I won’t go anywhere else for frames. " " We received our frame and it is AMAZING! It exceeded our expectations and is the nicest diploma frame I have ever seen. University Frames is a total CLASS ACT. 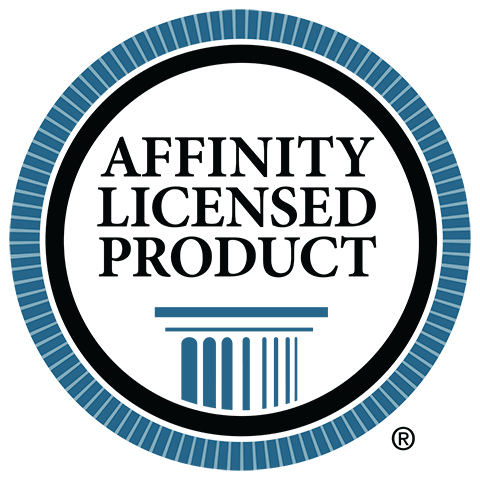 The product is the best you would ever find and the customer service is top notch. University Frames is the only place to order a frame and a pleasure to do business with. "